Dutch Design Week 2014: This rug shaped like a tightly coiled piece of rope by Studio Siem & Pabon heats up to kill dust mites lurking in its fibres (+ slideshow). 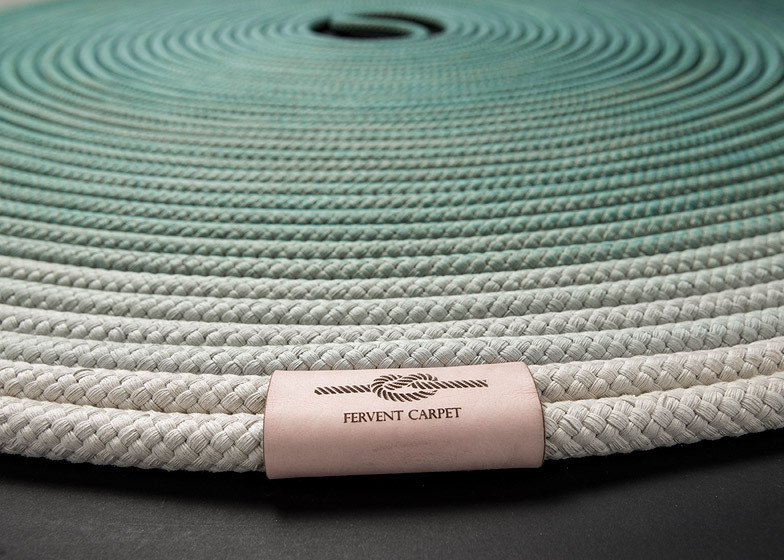 Eindhoven-based Studio Siem & Pabon designed the heated mat, named Fervent Carpet, for the 235 million people who suffer from asthma worldwide. The designers conducted research into the effect of textiles on the domestic environment and found that asthmatic people can sometimes struggle to live with upholstered home furnishings. "Pillows, curtains, upholstery, mattresses and carpets all add to the emotional value of the home. But people who suffer from asthma have a problem with textiles. Should their homes stay cold and impersonal?," said Anne Pabon and Siem Lenders, who set up Studio Siem & Pabon after graduating from Design Academy Eindhoven. "During our research we came across an asthmatic person. Because of his disease he is not able to use textiles like rugs, couches and curtains so his house felt very impersonal and unsociable. We found it challenging to give him back textiles, so he also would be able to make it homey and cosy for himself without having allergic reactions all the time," they said. 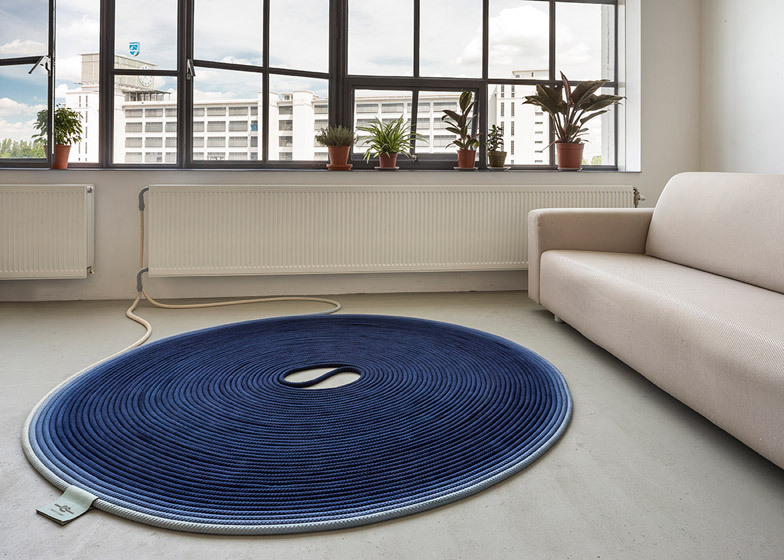 The coiled rug is designed to be connected to a radiator and heated to a temperature of 60 degrees celsius every two months in order to kill off dust mites that might be living within the textile. 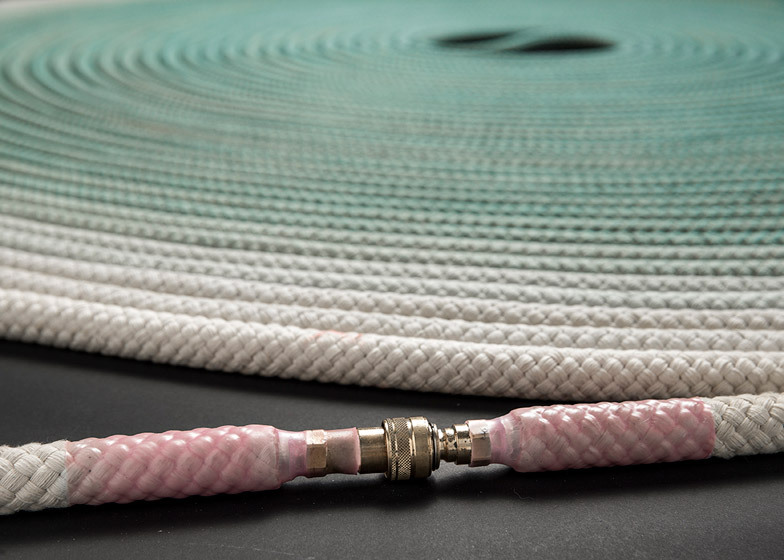 Two lengths of rope dipped in a rubber coating unravel from the edge of the circular mat. Hydraulic connections on the ends of these pipes connect the rug to the heat source, circulating warm water through the braided piping. "We decided to use the radiator because it's a heating system already, so that was a logical step," Lenders told Dezeen. "When you take it off the radiator the hydraulic connection closes itself and will not leak or spoil water anymore." 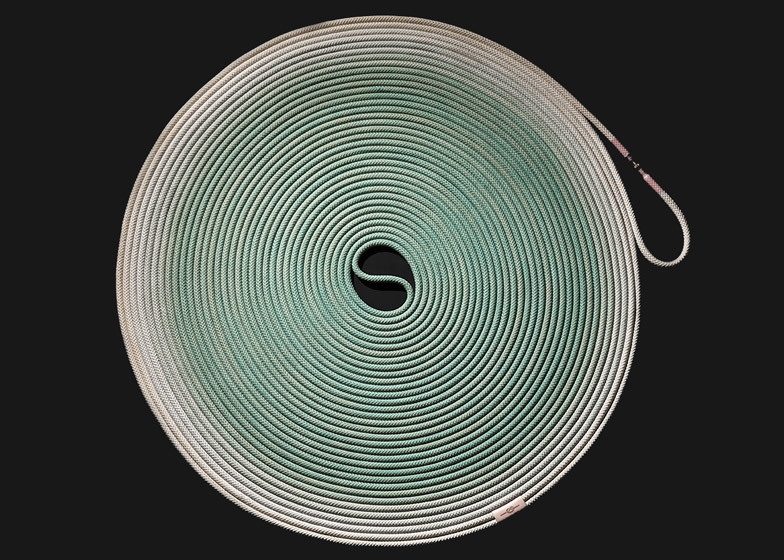 When the mat is not connected to the radiator, the two lengths of rope can be linked to form a loop and prevent water leakage. The designers produced the Fervent Carpet in two colours – royal blue and light green. The colour intensifies from white on the outer edge to deeper pigmented colour towards the centre. Studio Siem & Pabon will present the Fervent Carpet during this year's Dutch Design Week in Eindhoven, which runs from 18 to 26 October.